Most stars become white dwarfs when they reach the end of their stellar life cycle. Astrophysicists determine what elements are present in these collapsed stars by comparing spectra observed from space against either experimentally re-created spectra measured in laboratories on Earth or theoretical spectra generated using computer models based on quantum-chemical principles. Over time, they have found that white dwarfs not only contain elements like hydrogen and helium, but also oxygen, silicon, phosphorous, carbon and carbon-containing compounds. Approximately 10 to 20 percent of these white dwarfs exhibit strong magnetic fields. “The strength of the magnetic field in some white dwarfs can reach up to 100,000 Tesla,” said Stella Stopkowicz, a theoretical chemistry researcher at the Institute for Physical Chemistry at the University of Mainz in Germany. In comparison, on Earth, the strongest magnetic fields that can be generated using nondestructive magnets are about 100 tesla. 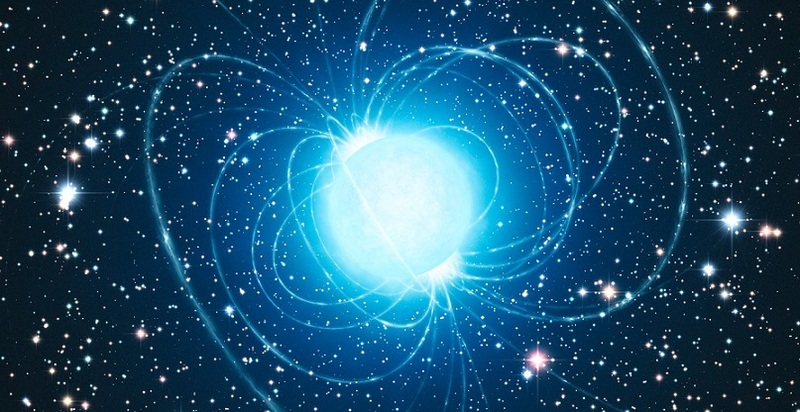 Therefore, studying the chemistry in such extreme conditions is only possible using theory and until now has not provided much insight to the spectra accompanying these white dwarfs. Stopkowicz and her colleague, Florian Hampe, describe their work modeling these systems this week in The Journal of Chemical Physics, from AIP Publishing. Stopkowicz and her colleagues have therefore concentrated on different methodologies that are more widely applicable, while still retaining the desired accuracy to deal with atoms and molecules in the presence of strong magnetic fields. The work is also beneficial to two other fields of research. First, it furthers the understanding of chemical changes in atoms and molecules under extreme conditions where magnetic forces counterbalance Coulombic forces. This is an important area of fundamental chemistry research where, for instance, new phenomena are encountered such as “Perpendicular Paramagnetic Bonding” -- a novel type of chemical bond that does not occur on Earth. Second, the accurate data obtained using this methodology may help in the development of better functionals for the calculation of magnetic properties in density functional theory, a widely used method in computational chemistry. Going forward, Stopkowicz and her colleagues will continue their work on the key components necessary to generate theoretical spectra for atoms and molecules in strong fields.